Your current auto insurer (and perhaps other service providers) may be holding out on you. If you're eligible for a lower rate, you probably won't be automatically given one unless you ask for it. In one case, the New York Times reports, one man would have been paying twice as much on his policy had he not gotten a competitive quote elsewhere. Mr. Mitchell was paying $2,537 a year on insurance and, like many people, put off calling his insurer to review his premium until AARP sent him something in the mail with an offer for a free quote from The Hartford, who offered him the same policy for just half what he was paying at Liberty Mutual—about $1,267. When Mitchell called Liberty Mutual, he was told he was eligible for premium reductions thanks to "underwriting changes" and now his rate would be just $1,207. How interesting. Had he not called, the manager admitted the bill would not have changed. the onus is always on you, the consumer, to do the heavy lifting, whether it's a big-ticket item like auto insurance or smaller bills from your cellphone or cable provider. It's a simple lesson, yes, but one that is worth remembering every so often. As we suggested recently, regularly scheduling a time to call your service providers twice a year can cut your bills. 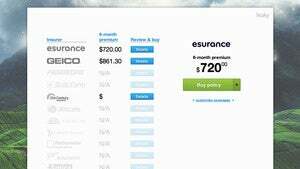 Don't forget to add expensive auto insurance, as well as other types of insurance to that list of bills.